Hey guys, here you can see my route, internships and destinations where I’ve traveled to in 2 years. 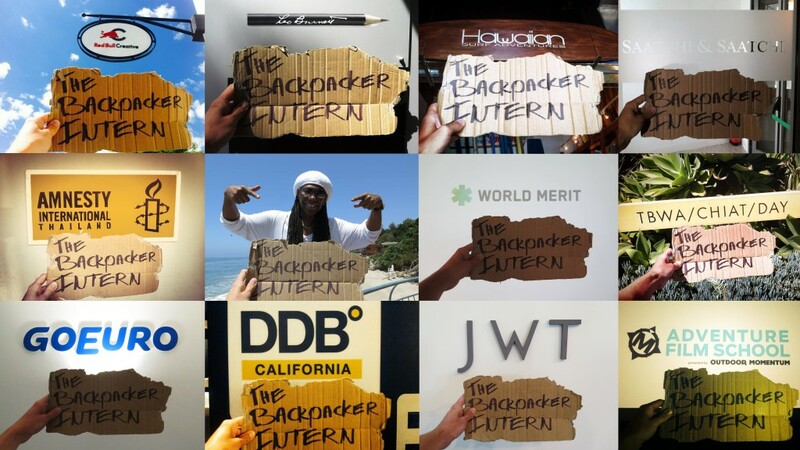 If you want to get in touch with me please send an email to mark@thebackpackerintern.com. Weet je al wanneer je in NYC bent en heb je al een plekje? Ik zit hier de komende maand in ieder geval nog voor MediaMonks dus als je een hook-up nodig hebt, kan altijd even rondvragen. Veel plezier en succes en dingen! Ben begin mei in NYC. Heb wel een paar opties maar extra hook-up is altijd lekker. Thanks alvast en spreek je ouwe! If you are going to be in India, do let us know. Our office headquarters is in Mumbai and we’d love to meet you! You are missing out by not stoping in Denver! email me if you change your mind and I can guild you around the city and mountains. After returning from Turkey to Germany I wanted to go back to the Middle East, my girlfriend wasn’t so fond of it so we decided to move to Japan. Looking at the map there are an awful lot of places you miss out on flying to the land of the rising sun, so I came up with the idea to travel there by car. Six month in we got to Albania and *wow* I fell in love with the place! I’m looking forward to your story! How r u? How long your trip? If you want a place to stay in Montréal, maybe a week, i have a bed for my invitees. And the same thing in Québec City. If you are passing by San Francisco, I would love to have you on board at StartupBasecamp and trade with you!! Add Morocco to your list! Mark, we are waiting for you to promote human rights. We are in Miami, Florida. Hello Mark…we are waiting for you in Miami, Florida. I sent you an email. enjoy your amazing journey! hope to see you in NYC!! Hey!! I see you’re coming to Brazil in September.. Are doing anything in Rio? If you want I can search something for you around here! How about have a trip in China? We located in Ningbo, 2.5 hours drive from Shanghai. We may also try to meet in NewYork or Boston around 14th May ~ 16th May, since I will be there during that time. For discuss your Chinese trip if you like to. If you come to China, I will be waiting for you in Wuhan city. All I want you to help me to do is playing Pingpang with me. Do you think you can beat me? Why don’t you stopover in Beijing for a while? Cheers, wish all the best in your journey! Sounds great! I’ll have to check when I’m in Asia again. Maybe in August! Cool! Maybe in August. Depends a bit on my planning. All the best! I wanna to know you..
HEY! What about Dominican Republic? If you come to Catalunya, I will be waiting for you in Barcelona city. You have plotted an inspiring itinerary…!! Sounds fun..! When you are in India, let me know.! lets Meet-up..!! Lots to share, lots to talk, lots to learn. !